Huntington High School senior Casey Smith. Senior captain of the Huntington Highsteppers competitive dance team, Ms. Smith has been inducted in the high school’s National Honor Society, English Honor Society, Math Honor Society, French Honor Society and Social Studies Honor Society. She is involved in planning this year’s Relay For Life extravaganza and is in the women’s empowerment club and Interact Club. Ms. Smith’s academic schedule includes classes in Advanced Placement English Literature and Composition, AP Calculus AB, AP US Government and Politics, Physics, French Honors and a credit bearing career internship with business teacher Paige Tyree Furman. The teenager’s closest friends include Ashlyn Case, Sophia LaCentra, Jailyn Fuentes, Kelly Strigaro and Erika Varady, “but I’ve made a lot of close friends over the years,” Ms. Smith said. In recent years, Ms. Smith has traveled to Italy, France, Spain, Galapagos Islands, Ecuador, Hawaii, Puerto Rico, the Bahamas and California. Ms. Smith’s favorite teachers have been Mrs. Tyree-Furman, Victoria Lombardi, Deborah Beck and Kelly Quintero. She began her run through Huntington as a Flower Hill School kindergartener. 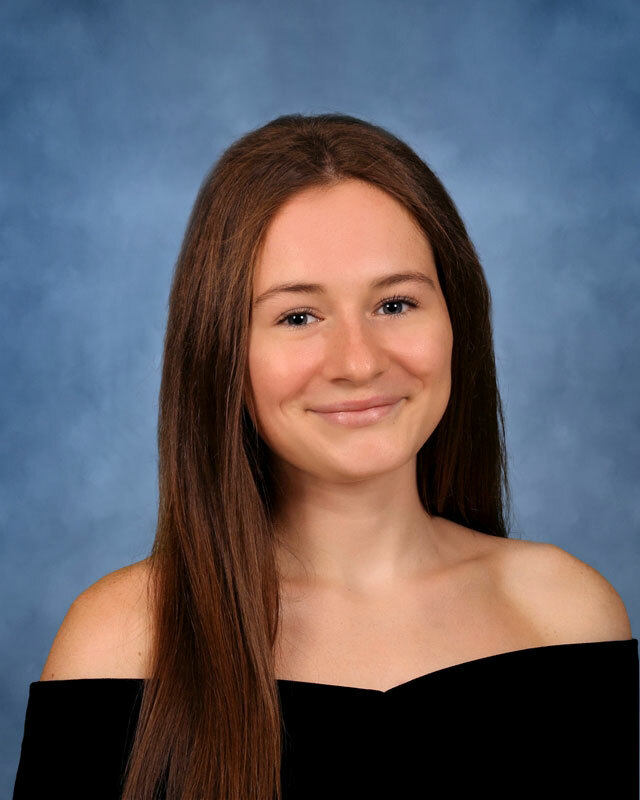 While the senior has not committed to any college just yet, she has been accepted to Villanova University, University of Richmond, Providence College, Quinnipiac University, York College of Pennsylvania and Binghamton University. “I am considering studying in the field of psychology or cognitive science, but I have not made any final decisions as of yet,” Ms. Smith said. The teenager is an exceptional dancer. Ms. Smith is a company member of Dancin' Feet Dance Studio. She is very well-liked around the high school building and has a positive and optimistic nature.